Cascina in the heart of the Monferrato hills, a UNESCO World Heritage Site, just 1.5km from the village centre of Montegrosso d’Asti, surrounded by lush vineyards and enjoying an enchanting view over the entire valley and the village of Agliano Terme. The house of 236 sqm is independent, has a spacious courtyard and a total of 3,000 sqm of land; in front of the main building is another structure. 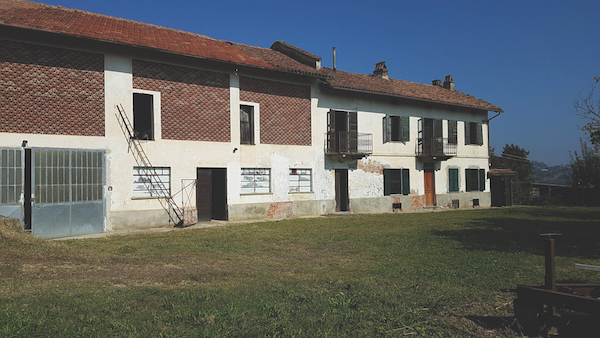 In need of renovation, but with the classical features intact, and the vast area of the cantina, ex-stables and hayloft could be made into something amazing! Absolutely worth your visit, and of course, the swimming pool will fit in nicely! Our ref: CM-962.